The University of the Fraser Valley men’s volleyball team will be heading into the playoffs with some momentum behind them, in the aftermath of a weekend sweep of the Columbia Bible College Bearcats. The Cascades opened the home-and-home series against their crosstown rival by beating the Bearcats in three sets at Columbia Place on Thursday. They reprised that performance at the Envision Athletic Centre on Friday, winning by scores of 25-23, 26-24 and 25-16. The Cascades (14-10) now advance to the PacWest championship tournament, which runs next week, Feb. 25-27, at Columbia Place. The Bearcats (2-20) finished seventh in the conference. The first two sets on Friday were hotly contested. With the score tied 23-23 in the first, Cascades left side Adam Chaplin came up big, notching a kill and an ace to close out the set. The hosts pulled out another two-point win in the second set, and closed things out in more decisive fashion in the third, as Connor Nickel and Chaplin both had aces in the late going to finish off the Bearcats. It was a special night for the Cascades’ trio of fifth-year players, Chaplin, Nickel and Robert Bauerfind. They were honoured in a pregame Senior Night ceremony, and savoured the chance to perform one last time at the EAC in front of a vocal crowd. Bauerfind said it was special to have a group of his friends from high school in attendance, hollering their support from the stands. As the seniors made their home-court swan song, Donen was also able to get some of his younger players some game action, and the likes of middle Connor Pruim, outside hitter Ben Friesen and setter Dan Tang showed they’re ready to contribute if called upon in the playoffs. As for his fifth-years, Donen noted that they looked uncharacteristically nervous in the first set, but found their groove as the game wore on. The University of the Fraser Valley women’s volleyball team wrapped up the PacWest regular season with a four-set loss to the Columbia Bible College Bearcats on Friday. Playing at UFV’s Envision Athletic Centre, the Bearcats took the first two sets by matching 25-19 scores. The Cascades found their mojo midway through the third set and pulled away for a decisive 25-16 win, but CBC regrouped and closed out the match 25-20 in the fourth. The result had no impact on the final standings – the Cascades (9-15) were locked into the PacWest’s fifth seed, while the seventh-place Bearcats (6-18) had already been eliminated from playoff contention. But UFV head coach Mike Gilray wanted to see more of a competitive push from his squad in their last game before playoffs. “It doesn’t change anything in the standings, but there needs to be that absolute hate of losing,” he said. “I’m not sure we’re at that. I think we were a little too comfortable . . . that it didn’t matter (in the standings). We knew coming in that CBC was going to fight for absolutely everything. It’s a crosstown rival, it’s the end of their season, and it helps them go out on a positive note. Rookie left side Chelsea Kidd was a bright spot for the Cascades – she hit 44 per cent en route to nine kills, part of an “unbelievable weekend” in Gilray’s estimation. The Cascades honoured fifth-year setter Nicole Blandford in a post-game Senior Night ceremony, commemorating the final home game of her distinguished career. Gilray also presented a bouquet of flowers to fourth-year libero Ray Flores, who is set to graduate. “Nicole is a consummate competitor,” Gilray said. “She’s the one that I don’t think has taken a point off this whole year. More of our girls need to see that fight. She’s on the floor every point, all the time, and it’s like she never runs out of energy. Up next for the Cascades is the PacWest championship tournament, which runs next week (Feb. 25-27) at Columbia Bible College. The University of the Fraser Valley men’s basketball team dropped an 87-70 decision to the Mount Royals Cougars on Friday evening in Calgary. With a first-round playoff bye already secured, Cascades head coach Adam Friesen took the opportunity to rest some of his stars. Power forward Nate Brown didn’t play, and senior guard Kevon Parchment saw just seven minutes of game action. The Cougars (9-10) took advantage of those absences, thanks to big games from post players Brett Layton (23 points, 17 rebounds, six steals) and James Lefebvre (19 points, nine rebounds, four blocks). But they still found themselves eliminated from playoff contention after the MacEwan Griffins (10-9) defeated the UNBC Timberwolves to lock up the Explorer Division’s third and final playoff berth. 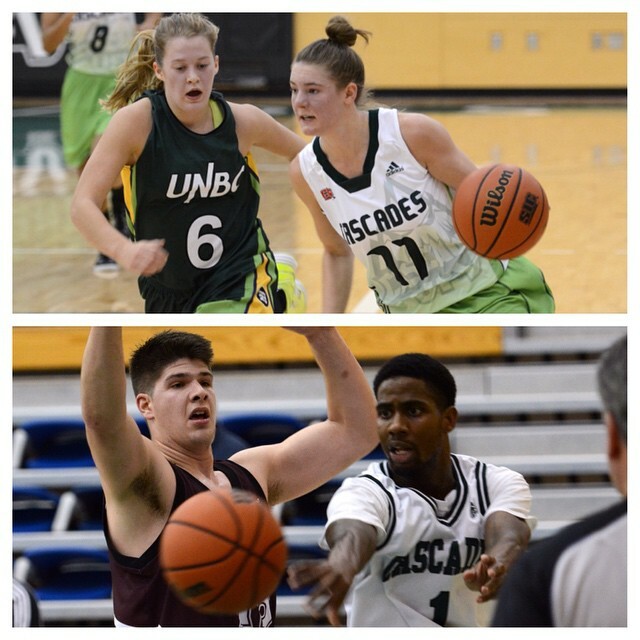 The Cascades (12-7) had clinched a playoff berth and first-round bye last weekend, and they’ll finish second in the Explorer Division regardless of what happens in Saturday’s regular-season finale vs. Mount Royal (7 p.m. Mountain time, webcast at ufv.canadawest.tv). The Cougars shot a robust 49.3 per cent from the field, while the Cascades mustered a 39.2 per cent mark in that department. The hosts also out-rebounded UFV by a 44-32 margin. 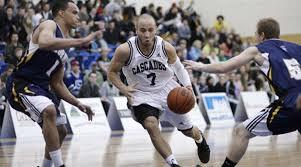 Vijay Dhillon was a bright spot for the Cascades offensively – the fourth-year guard from Richmond, B.C. racked up a team-high 18 points in just 17 minutes of action, highlighted by a 4-of-6 performance from beyond the arc. Marcus Morgan came off the bench to score 15 points, while post players Matt Cooley and Navjot Bains scored 12 points apiece for the Cascades. The University of the Fraser Valley women’s basketball team put on a phenomenal shooting display in the second half on Friday evening to spark a 70-53 victory over the Mount Royal Cougars in Calgary. The Cascades started slowly – they shot just 31.3 per cent from the field in the first half, and coughed up 12 turnovers compared to just three for the hosts. They found themselves trailing 28-27 at the break after Mount Royal’s Angela Driscoll spun in the lane and banked in a buzzer-beater. But it was a distinctly different story in the second half. The Cascades opened the third quarter on a 19-0 run, and cruised from there. They shot 55.2 per cent from the field (16-for-29) and 60 per cent from beyond the arc (9-for-15) in the second half, with just three turnovers against 10 for the Cougars. The victory boosted the Cascades’ record to 12-7, and allowed them to lock up the third and final Explorer Division playoff berth. It’s the program’s sixth straight trip to the Canada West post-season, and they will host a best-of-three first-round series against a yet-to-be-determined opponent from the Pioneer Division next week. “Particularly in the third quarter, we started moving the ball around more,” UFV head coach Al Tuchscherer said, reflecting on the factors that ignited his team’s second-half surge. “We played our style of basketball, where the ball didn’t get sticky. We found the open man, and good things happen when we play that way. UFV’s Katie Brink (16 points, 12 rebounds) and Kayli Sartori (16 points, seven rebounds, seven assists, three blocks) tied for team-high scoring honours, while Shayna Cameron (13 points, 3-of-4 from three-point range) and Sydney Williams (12 points, 4-of-10 from three) were deadly from long distance. Driscoll paced the Cougars with 14 points and five steals. The Cascades and Cougars (2-17) wrap up the regular season on Saturday in Calgary (5 p.m. Mountain time, webcast at ufv.canadawest.tv). 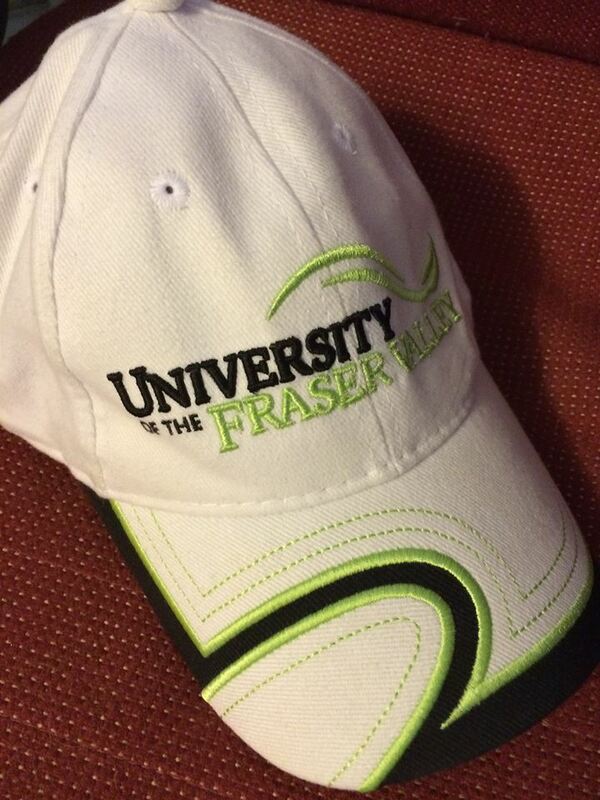 Be the first to comment on "UFV Sports Friday – Volleyball Regular Season Ends On A High Note"